Harper was born in June of this year to Craig and Kelsie Brown with two very excited older sisters, Maddi and Ava. From the very beginning, she has been a strong and beautiful little presence in everyone’s lives. 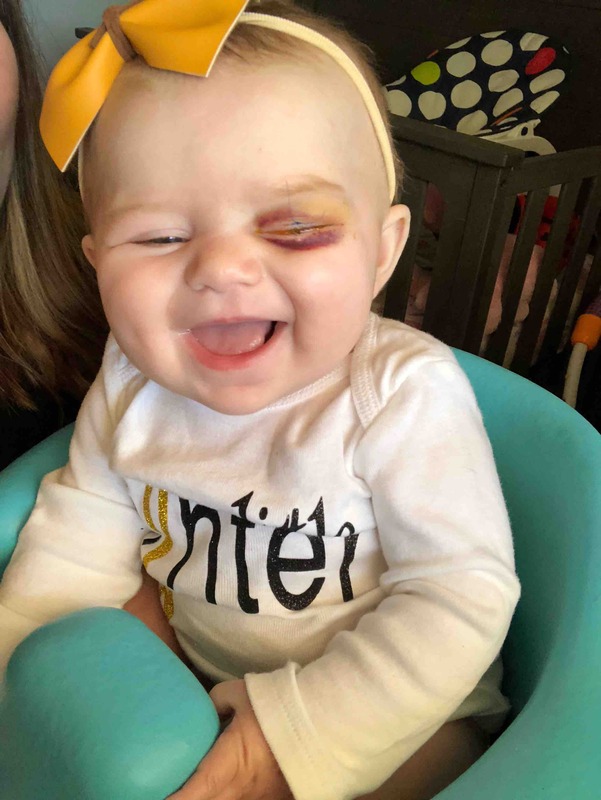 On October 4th, 2018, during her routine four-month checkup, doctors noticed a concerning mass behind her eye. She was immediately seen by the local eye center where they discovered a cancerous mass known as retinol blastoma. They immediately were referred and rushed up to UCSF, the best facility for her care with a team of specialists. During her first procedure the Dr. noticed not one, but six cancerous masses and found it was in both eyes as well. 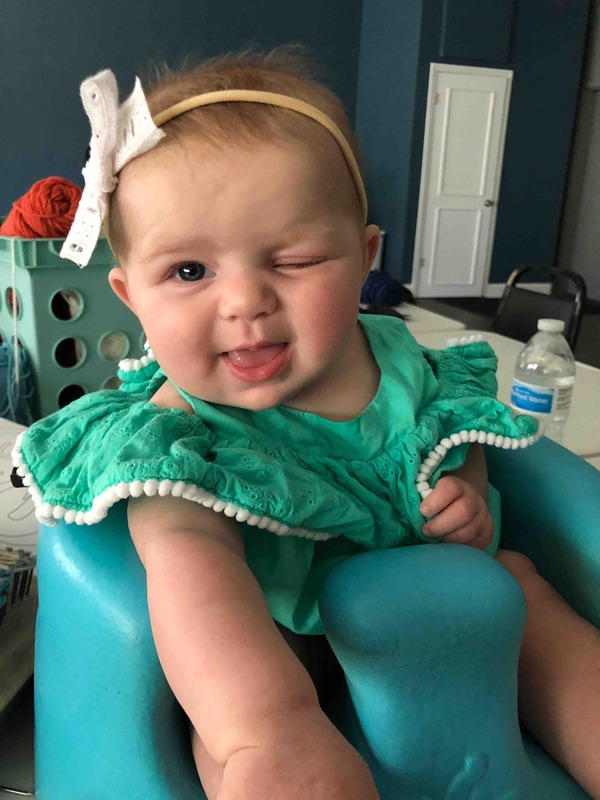 Harper underwent laser treatment on the eye that can be repaired, but is undergoing surgery October 8th to remove her left eye and rid her body of the cancer with more treatments on the right eye to follow. She will be fitted with a glass eye upon recovery and be acclimated to to single vision life with her amazing team. Harper has a long journey for recovery but the future is very bright. She is a strong, determined and beautiful light of everyone’s life that will overcome these obstacles. 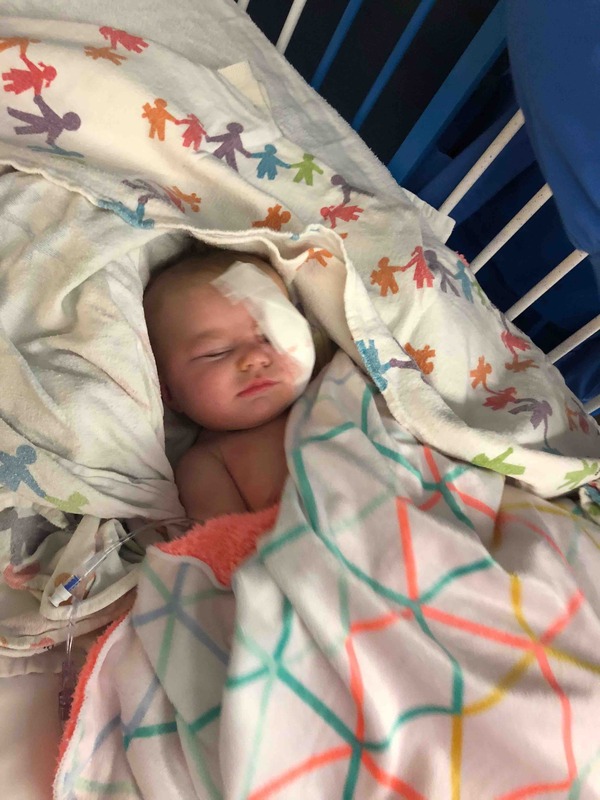 UCSF doctors are positive that recovery will be successful and Baby Harper will be cancer free down the road, but the family needs your help. 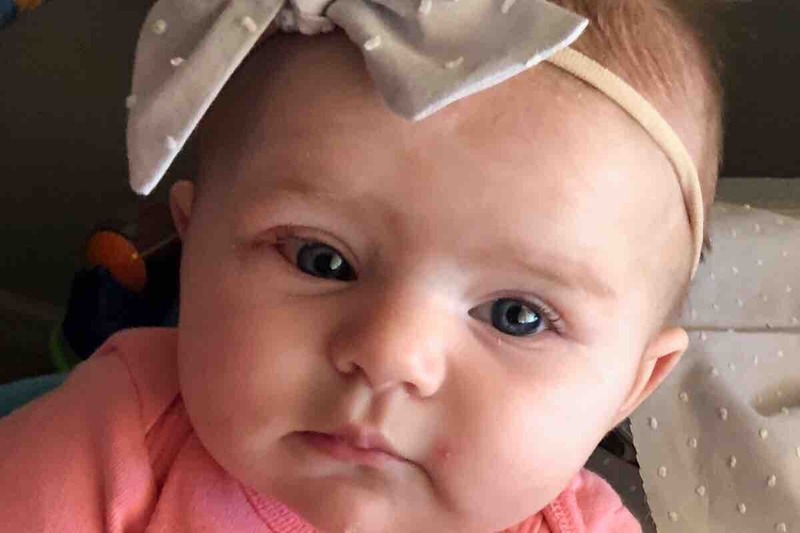 All of The Brown’s family and friends are pulling together love and resources and have started this Go Fund Me to assist in the successful recovery and ongoing proactive treatment to ensure Harper’s safety and well-being and aid the family in supporting Harper in her recovery. Family comes first and so that’s why we are seeking assistance for this wonderful family to fully be able to support Harper and their two other amazing daughters during this crucial time. For more in-depth information on treatment plan for Miss Harper, see below. Will need to remove left eye due to severity; may need systemic chemo depending on pathologist results after removal of eye. Removal and implant surgeries and process will take a few months. No chemotherapy for right eye; but regular eye exams to check for return of tumors or new tumors and laser/cryo treatments to keep tumor removed if needed. Genetics testing of Harper’s blood and also parents and siblings to make sure there is no risk of same in others. Social worker explained there are programs available to acclimate her to single vision lifestyle. Latest update on our little fighter! Guess who had their stitches removed last week?! Awesome milestone for Harper and Mom and Dad! Her stitches were removed and she is starting to open that sweet little eye again. 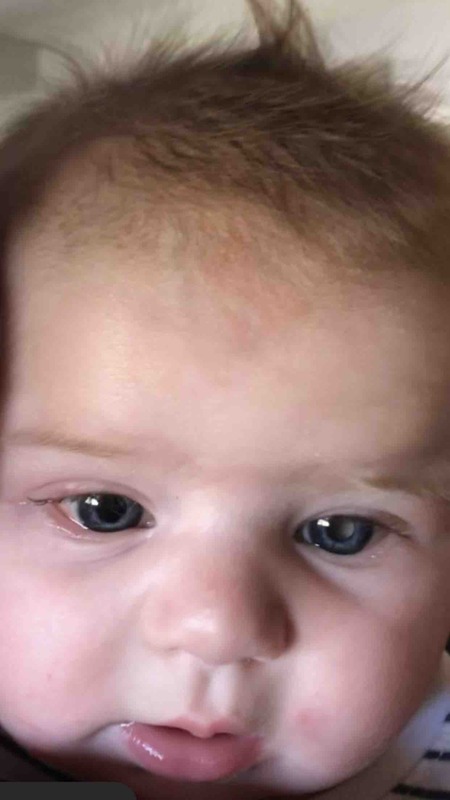 Early last week, before removal of her stitches, she had an alarming reaction to a change in her topical medication applied directly to her eye lid. Doctors confirmed the reaction and prescribed new medication as well as antibiotics because the reaction and major inflammation were also signs of infection. 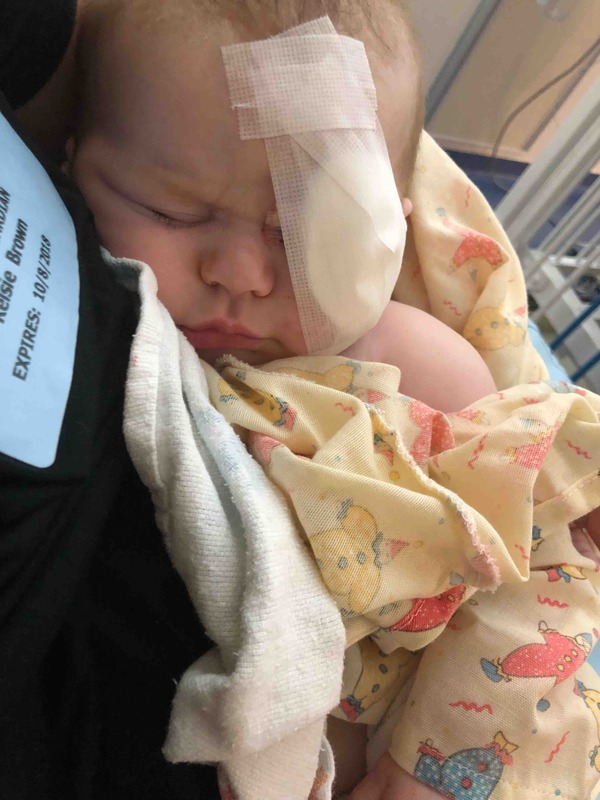 Her surgeon informed Mom and Dad that if the infection returns, she will need to go back under to remove the partial implant she currently has to allow healing. At this time her eye looks great, so we are praying for continued recovery! If the infection stays clear she will begin procedures and surgery for the rest of the aesthetic portion and cover to her prosthetic eye! She will also be going back to San Francisco next week for the fourth time this month to have her right eye looked at and continued treatment with Photocoagulation Laser Therapy. At that time they will assess the growth or lack there of with the existing three tumors. The Browns have been so touched and feel so much love from everyone that has reached out in the last four weeks! Their outlook and strength during this journey has been nothing short of a miracle! They want to thank EVERYONE for the incredible acts of love and kindness that they have received and all of the prayer from Harper’s Tribe! This girl is smiling because we received some BEAUTIFUL news today! Labs on her removed eye came back early and the cancer did not spread outside of her eyes! NO CHEMOTHERAPY needed at this time!! She has been healing right on track with her Dr’s expectations, she has been less uncomfortable as each day passes, and she is quite the little FIGHTER! She still has rehab, treatment for the cancer in her other eye, healing from her surgery, and prosthetic procedures on the way, but this is a huge win that calls for smiles and celebration!